Every year I faithfully got a mammogram and this year was just like any other or so I thought. A day after I got the mammogram I got a certified letter in the mail and a follow-up phone call from the radiologists telling me I that I needed to come in and get a copy of the mammogram and see a surgeon ASAP. I didn’t think much of it though. When I picked up the films I sat in my car and held them up to the light and I saw some white dots inside of a circle with a break in that circle…..but still it didn’t register with me. I made an appointment right away with a breast surgeon and I didn’t take anyone with me to this appointment because again….I didn’t think it was a big deal. I thought to myself…well…they will give me a biopsy and everything will go from there. There was no history of breast cancer in my family and I had a breast biopsy when I was 16 years old so I thought this was much to do about nothing. When the surgeon looked at the films he told me he was scheduling me for surgery. I looked at his face and he looked very serious. He let me draw my own conclusion and I said to him….”does this look like cancer?….and he said yes. From that moment on I could hear nothing else he said. His office tried to talk to me about details but I told them to write everything down because I was not processing anything they were saying to me. I sat in my car in shock! I called my friend from my car…she was in remission from another form of cancer. She was able to talk me through those first moments. My most pressing thoughts were….my husband….my kids….oh God help me!!!!! 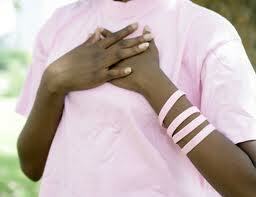 I had a mastectomy in 2001….. I am completely healed from the cancer now 10 years later!! All praise and glory belongs to God! God used this for His glory because I was able to share my faith with my doctor and everyone around me got to see how I had a miraculous recovery. The miracle was that……..I had no pain whatsoever after the surgery!! It was amazing! I went home from the hospital…no pain. During the time that I got the breast cancer I was suffering with a chronic illness. Two years before this mastectomy I had a hysterectomy as well as a few other smaller medical problems. I believe God knew how much I could bear and He buffered me from too much trauma in this new medical challenge. I felt His presence and His help in a powerful way. God knows how much we can bare and will not put one drop more on us than we can handle. Looking back in all that I’ve been through… I’m so amazed at the work all of this suffering has done in my life and I do count it all joy now. I’m going to be honest here….I did not enjoy going through it…it was very difficult. But now…when I see how the Lord was teaching me and molding me…I see He is making me into what He wants me to be and that’s to be just like His son…Jesus. Refining takes time and patience. As they say…Rome wasn’t built in a day. I’m a better person now because of what I’ve been through. I’m able to share through my blog… some of the lessons I’ve learned along the way. God will never leave you or forsake you…He will be there in your deepest darkest and most trying of moments. When you are going through a difficult trial….pour your heart out to Him….cry until your eyes are swollen….pray until no words are left in your mouth…lay on your bed and moan and groan until you’re just drooling…then close your eyes and have the hope of Jesus in your heart and a mustard seed of faith left in your mind and soul and the power of the Holy Spirit will over shadow you….then the peace of God that passes all understanding will take you over and your joy will come in the morning. I tell you this because…..I have lived it! I have that joy and it IS so well with my soul. James 1:2-4 Consider it pure joy, my brothers and sisters, whenever you face trials of many kinds, 3 because you know that the testing of your faith produces perseverance. 4 Let perseverance finish its work so that you may be mature and complete, not lacking anything. God knows how much you can bear…..call on Jesus and hang in there…you hear me…hang in there!!!!! 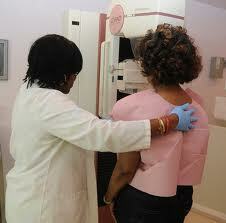 To all woman everywhere....please go and get your mammogram. It's one of the reasons I'm still here the first reason is God's healing hand. Also do self examinations too! been cancer free for all of the past 10 years. Life is beautiful to me. serve the Lord and to be with my loved ones. been so good to me and I thank Him for everything. If today is your birthday….what do you wish for? Let me know and I’ll agree in prayer with you. Don’t worry about the date….if today is the day write…..If your wish is private you can write me in the sidebar. Happy birthday to you! If you don’t Have the Lord in your life….don’t let another birthday go by….this is my birthday wish….you CAN make my wish come true! Write me in the sidebar.